Hawaii National Park, HI – Heroes come in all shapes and sizes, and at Hawai‘i Volcanoes National Park, some have four legs. Last week, park mules and a horse transported two injured hikers suffering from dehydration to safety. The Hilo couple had planned to hike to a remote coastal campsite, but was not prepared for the intense heat, lack of shade, and rough terrain. They didn’t have hiking sticks, and their water filters broke. On the morning of Aug. 27, they started to hike out on Keauhou Trail. Both turned their ankles, and were unable to continue. They called the number on their backcountry permit, and a team of mules and first responders was dispatched. 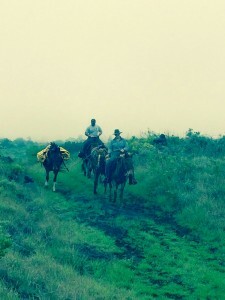 The exhausted couple was located, and park mule Dozer and horse ‘Ōhi‘a calmly transported them to safety, while Sparkles and Clyde hauled their backpacks. It wasn’t the first rescue for these hardy stock animals. 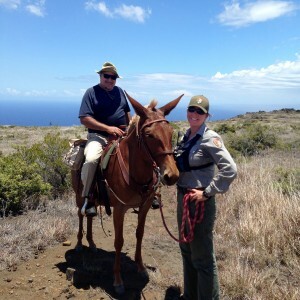 In mid-July, Sparkles carried an O‘ahu man from Keauhou Trail to safety. The man, in his 60s, was separated from his group and became dehydrated and fatigued on the grueling eight-mile hike. Although the stock team and the first responders saved the days, both incidents were preventable, said Park Ranger Jack Corrao. “It’s extremely important to be prepared when going into the backcountry, or on any hike,” Corrao said. “Have plenty of water, four quarts per person per day, and make sure your water filter works. Never get separated from your group. Know your limits,” he said. A detailed checklist of safety tips is provided with all backcountry permits, and is on the park website. Park mules perform a variety of important duties in the 333,086-acre park. They are strong, sure-hoofed and are able to carry heavy loads over uneven terrain, said stock manager Jordan Barthold. They were vital to the recent replacement of the wooden boardwalk at Pu‘u Loa Petroglyphs. 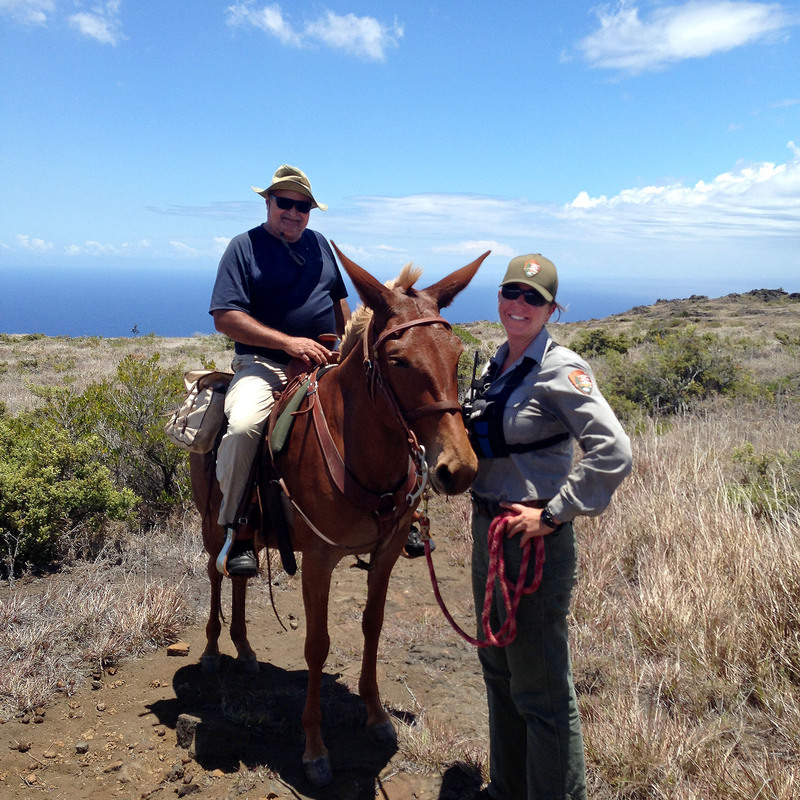 The mules are also used to transport equipment to the Hawaiian hawksbill sea turtle crew, and haul waste from the pit toilets in the coastal campgrounds, among other duties.